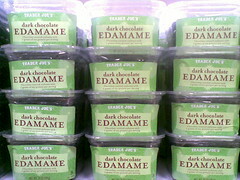 In Trader Joe’s, dark chocolate covered edamame. No. No! NOOOO!! !